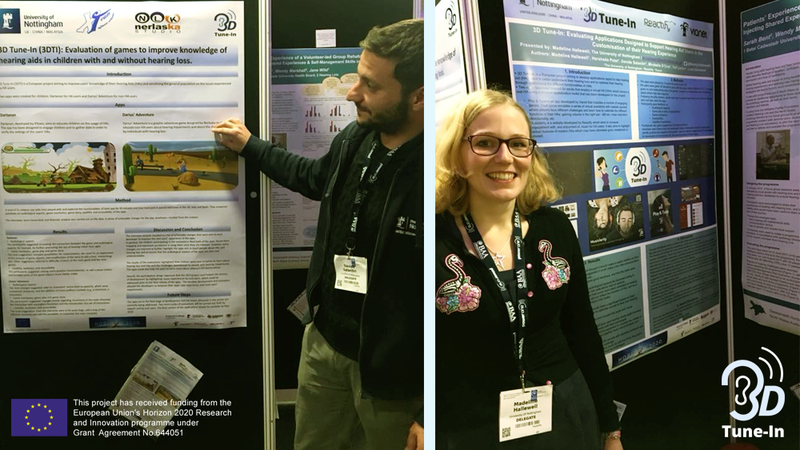 The 3D Tune In team were proud to be involved in The British Academy of Audiology’s 14th Annual Conference at Bournemouth International Centre on the 16th-17th November. The British Academy of Audiology is the UK’s largest association of hearing and balance professionals across public and private sectors and the annual conference is the place to be for innovative and exciting developments in the audiology world. National and International speakers attended to give insight into the audiology future, with a focus this year on how we can use better utilise the technology we have. 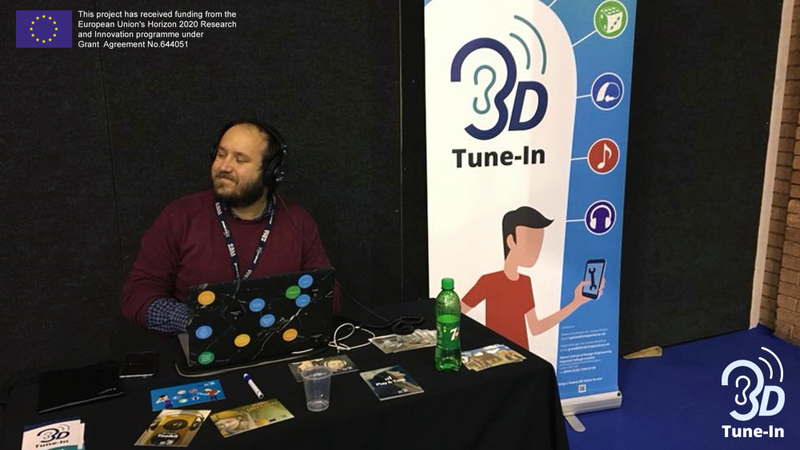 Dr. Lorenzo Picinali gave a demonstration of the 3D Toolkit and Musiclarity in the main auditorium and manned the 3D Tune In stand in the Exhibition Hall, offering 1:1 demonstrations and talking to the many audiological professionals that were attending the conference. 3D Tune In were also very excited to present two posters on the evaluation of our new applications, led by the team at the University of Nottingham. Overall it was a great opportunity to showcase the project’s progress to the national and international audiology community, before the official launch in April.